Use the radio data logger testo Saveris 2-T1 to monitor your temperatures in storage, cooling and work rooms. 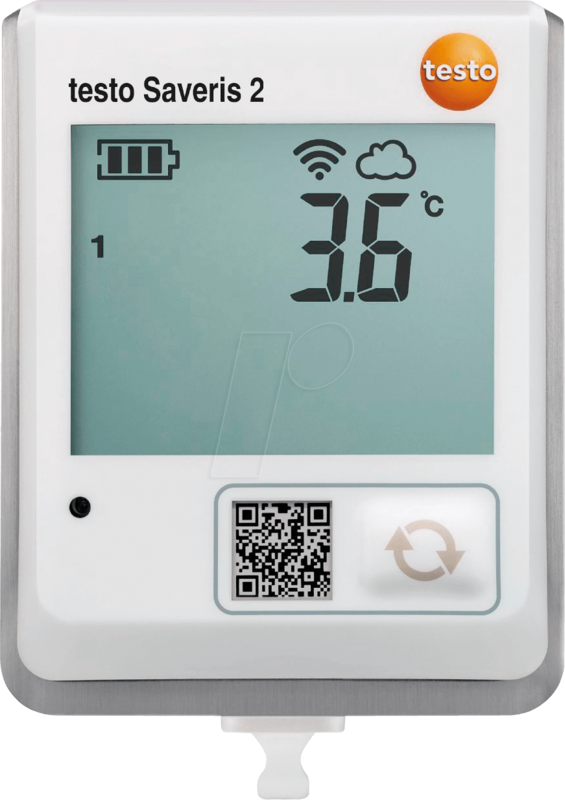 The temperature values measured with the integrated sensor are reliably recorded over long periods of time and sent directly to the Testo cloud (online data storage) via your WLAN. With your web-enabled smartphone, tablet or PC, you can call up these measured values anytime, anywhere. The radio data logger system testo Saveris 2 is the simple, flexible and safe solution for measuring and monitoring the temperature values in your storage, cooling and work rooms. The installation of the system is child's play and can be done either via a browser or with the testo Saveris 2 App. The temperature monitoring system consists of at least one wireless data logger and one cloud access (online data memory). 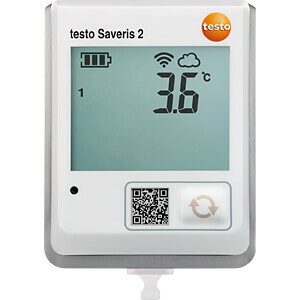 As part of this data logger system, the testo Saveris 2-T1 temperature data logger with integrated NTC temperature sensor stores and transmits all measured temperature values directly to the Testo cloud via your WLAN. Using the alarm function, you can be warned immediately by e-mail or (optionally) SMS if limit values are exceeded. The Testo Cloud is the central control element for setting up your testo Saveris 2 system. Here you can configure your wireless data loggers, set limit value alarms and evaluate your measurement data. You can access all measured values and analysis functions at any time and anywhere with an Internet-enabled smartphone, tablet or PC. To have access to the Testo cloud, you must first register at www.saveris.net . The data logger display shows current measured values, limit violations and the remaining battery life. 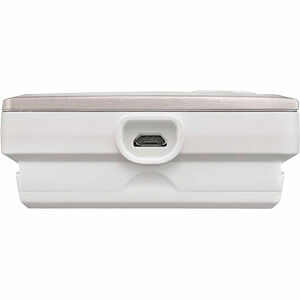 The standard batteries (AA) have a service life of 24 months and can be changed at any time by the user himself. The internal data memory of the radio data logger is 10000 measured values and the housing is protected according to IP65. testo Saveris 2-T1 is tested by TüV Süd according to EN 12830.